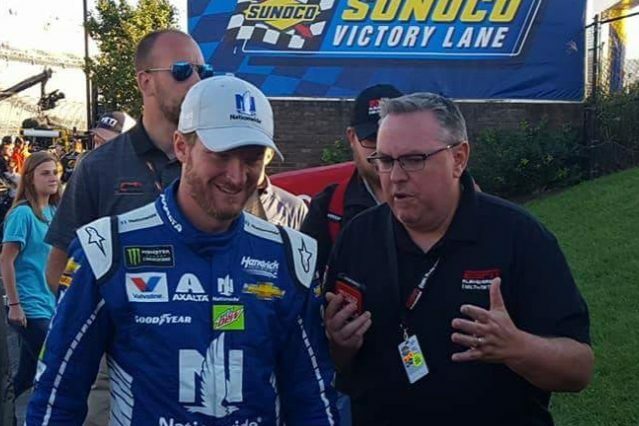 David Swope, who has been following racing including NASCAR, Indy Car and Formula One since the early 80’s, currently works for ESPN Radio Albuquerque 101.7 FM The TEAM (KQTM) and hosts a weekly motorsports show, the New Mexico Motorsports Report (NMMR). Swope is a graduate of the University of New Mexico, with a degree in Economics. Swope owned a family-run business in Albuquerque for over 24 years and managed New Mexico’s only asphalt racetrack, Sandia Speedway, before making the move to ESPN Radio Albuquerque. Swope is also a semi-retired local racecar driver. Swope captured a track championship with 5 wins in 8 starts at Sandia Speedway in 2005 driving a ’73 Super Beetle. Swope’s racing career started at 14 in Karts and has included many types of cars including a Formula Super Vee. KQTM (101.7 FM, “The TEAM”) is a radio station serving the Albuquerque, N.M. area. It is owned by Team Broadcasting and its city of license is Rio Rancho, N.M. The station broadcasts with an effective radiated power of 3 kW. The broadcast signal reaches approximately 700,000 listeners or 50% of the population of the state. The station started broadcasting as “The TEAM” on August 1, 2008, in the Sports Talk Format. Nielsen Ratings ranks KQTM #1 in sports programming. The station is an ESPN Radio Affiliate, the exclusive Albuquerque affiliate for the Dallas Cowboys and the Los Angeles Dodgers. The TEAM also carries plenty of local programming including the New Mexico Motorsports Report (NMMR). It is the flagship station of Albuquerque Public Schools Athletics and broadcasts games for the University of New Mexico Baseball. Daily afternoon drive is anchored by The Locker Room with Bob Brown, which was named Best Sports Talk Show by the NMBA. 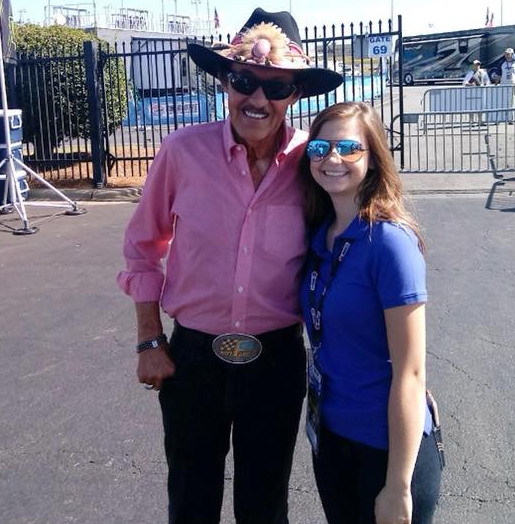 Brooklyn Green is a current student at The University of New Mexico, she is pursuing her passion in multimedia journalism, concentrating on motorsports reporting. Brooklyn at a very young age found interest in racing at her local quarter midget track. It is there where she spent several years competing and falling in love with the sport. As life continued Brooklyn found herself craving to be involved in more than just racing race cars. She wanted to experience the other side of the spectrum, just what the life of a race car driver is really like. It is through ESPN radio and The New Mexico Motorsports report that she has been given these fantastic opportunities. John Haverlin, a Long Island, New York native, is a graduate of Arizona State University, where he studied communication and journalism. 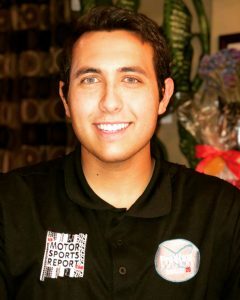 He is a former Pit Notes reporter at ISM Raceway, where he covered NASCAR and INDYCAR throughout his collegiate career. Since 2016, he has covered American auto racing’s various forms, including NASCAR Cup, Xfinity, Truck, K&N, Whelen Modified, IndyCar, Mazda Road to Indy, USAC, Modified Touring Series, World of Outlaws, ARCA and ACT Tour. During his downtime, he likes to play his Les Paul guitar, hit the golf course and watch the New York Mets. Born and raised in Albuquerque, New Mexico, 21-year-old Spencer Hill has been in love with racing for his entire life. From the time he was born, he has been a true student of the sport by watching and attending dirt track and NASCAR races before he could even walk. At the age of 8, Hill began his own racing career in Speedway Karts winning over 60 races all over the southwest, becoming a 5x winner of the Holiday Classic, and a past Arizona State Champion. He then stepped up to Micro Sprint Cars where he has recorded 31 wins since 2011 racing in prestigious races such as the Amarillo Mini Sprint Nationals, The Salute To Indy, and California Speedweek. Hill has also had the opportunity to race asphalt USAC Midgets, NASCAR All-American Series Modifieds, Lucas Oil POWRi Winged 305 Sprint Cars, and USAC Non-Wing 360 Sprint Cars. 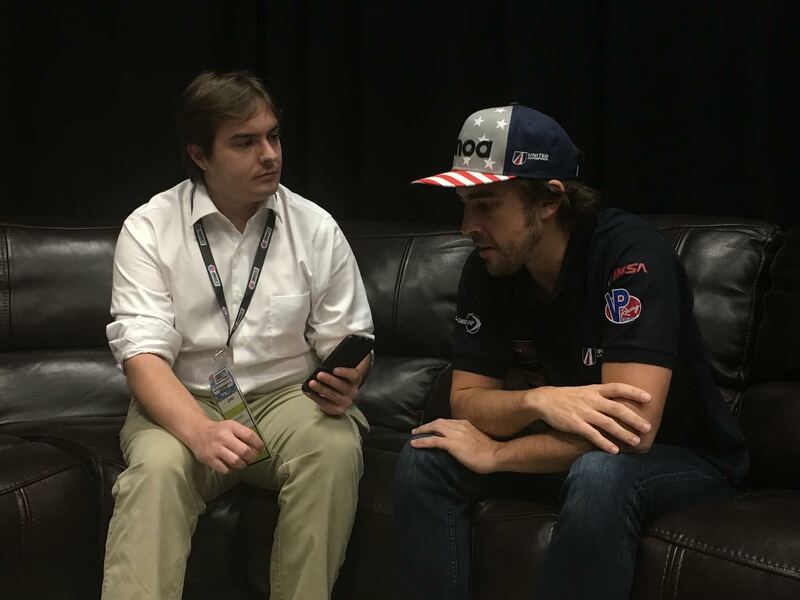 Aside from his own racing career and working on a Marketing Degree from the University of New Mexico, Hill focuses his time as a reporter and host for the New Mexico Motorsports Report which airs on Proview Network (Comcast Channel 26), and ESPN Radio Albuquerque 101.7 FM “The Team” (KQTM). The Racing Experts is an auto racing media outlet founded in August 2010. TRE is headquartered in New Mexico with staff located across the country. Our reporters cover breaking news as well as feature and commentary pieces. 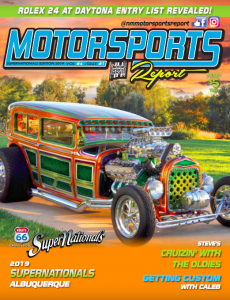 While we are not affiliated with another news outlet, we work closely with ESPN Radio Albuquerque and The New Mexico Motorsports Report Magazine. New Mexico’s Leader in High School Sports Coverage available on Comcast Channel 26 and online. Your source for Duke City Gladiators Arena Football and Albuquerque Sol Soccer.